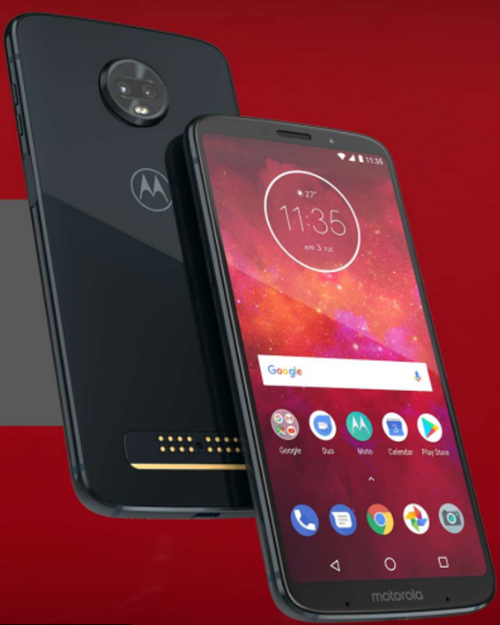 As my time with the Moto Z3 Play comes to an end, I thought I'd sum up my thoughts and opinions of the device. Some of this may seem redundant from prior posts, but that's sort of the point of my wrap up. This device looks and feels premium. I mentioned the finish and the feel previously. The Indigo Blue color is just beautiful - mirrored dark blue. The dual camera's protruding from the back give the device character as does the set of connection pins on the back. The device stands out in an age where most phones look similar. Turbo Charge charging giving 50% charge in 30 minutes! I was previously seeing a full day one one charge, but as I've continued to load up the device with apps which are running in the background I've seen a decline in full day. I'm still pleased with the battery life I get here - I still get through 75-80% of my day with the 3000mAh battery. but the Turbo charge makes this a non-issue. This device has depth sensing rear sensing camera lenses including a 12MP low light sensor. The pictures are very good! Sure, there are better cameras on more expensive devices out there, but you won't be sorry with the camera on this phone - the pics are high quality and you'll be very happy with the results. Also comes with some goodies including Portrait mode and a Manual mode so you can get the most out of the camera. ISO, the camera's sensitivity to light. Moto Actions - I mentioned previously that the Z3 Play was my introduction to Moto-Actions, and I still love 'em. When it's time for me to test out my next handset I'm sure I'm going to miss this feature from the Moto Z3 Play. Chop to activate the flashlight, twist of the wrist to turn on the camera, Wave over the screen to view time/date/weather... and some others. Those are the 3 I find the most useful though. While I personally don't own moto-mods, I did try the Hasselblad Camera Mod and I was thoroughly impressed. Zoom was fantastic and clear, and the pictures just came out wonderfully. I appreciated the 'feel' of a real camera. The battery mod seems like a no-brainer for the power user. and the speaker mods are a great alternative to carrying a small bluetooth speaker with you. If the Z3 Play was going to remain my daily driver I'd be investing in the camera mod for sure. The display is beautiful - definitely didn't skimp out on the 6" edge to edge Full HD+ Display. It's crisp, clear and top quality. This also helps the phone scream 'premium'. The phone is fast and smooth - thanks to the 1.8GHz Octa-core processor and 4GB Ram. Everything runs wonderfully and haven't experienced any app issues/crashes with this device on 8.1 Oreo. I've said it once and I'll say it again, for a premium look and feel at a mid-range price this is a fantastic device. If I were in the market for my next phone I would def. consider an offering from Motorola. I'm impressed. So yeah, that's about it for now. I really am happy with this phone - Mid Tier with some premium specs and looks. It's original in it's own right - and most people who see it ask me about it. 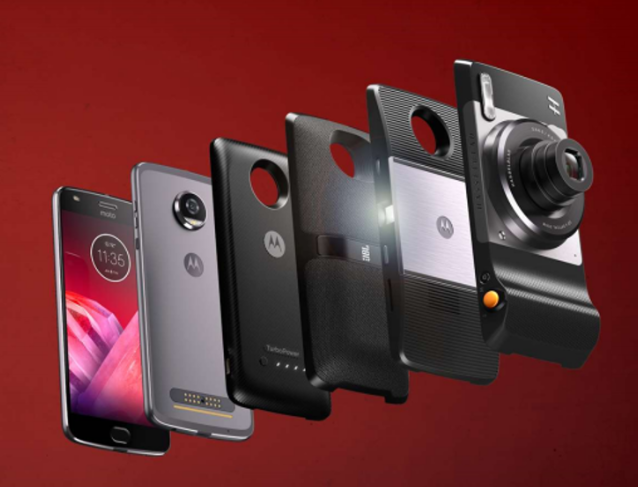 Do you have any tips/tricks or things you like about the Moto Z3 Play? Questions? Let me know - and as always, thanks for reading! Disclaimer: I am super lucky to be able to take part in the Sprint Device Ambassador program. The Product Ambassadors love technology. They volunteer to test out all sorts of devices and offer opinions freely to the Community. Each Product Ambassadors shares their own opinions of these devices, therefore the information in this post does not necessarily reflect the opinions of Sprint or the device manufacturers. The PA's do not represent the company in an official way, and should not be expected to respond to Community members in an official capacity. My opinions are my own. I am a Device Ambassador and Blogger... I am not a Corporate or Device Manufacturer spokesperson.